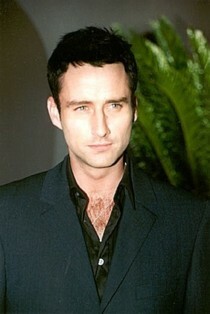 Ireland born Glenn was Mark on Roseanne, and played Doyle on Angel as well as otherroles. 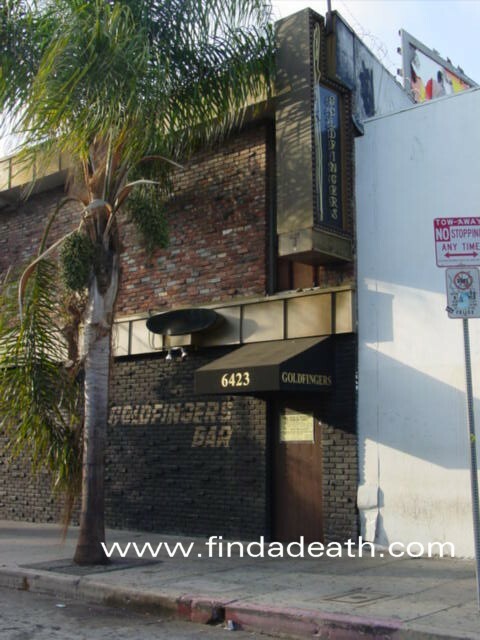 Glenn was also the co-owner/silent partner of a club called Goldfinger’s which is just a couple of doors down from the PLA BOY liquor store in a particularly grubby area of Hollywood, mentioned in the Ed Wood story. Here is the back view of the bar, which I plan to check out soon. The good folks at celebritycollectables.com sent me the autopsy report for this story, thus making it available for us. A fascinating document, and perfect for the Death Hag on your Christmas list. Glenn had a booze and drug problem for quite some time. He lost his last job on Angel because of it. It appears that he was on a downward spiral, and according to some sources, he lost the house he bought from his Roseanne money. He was bought out in his night club venture, because he was begging for money from customers, getting in to fights and just being an all around embarrassment. The last straw for Glenn was being kicked out of rehab (Wavelengths in Malibu), for using drugs. This was a few days before he died. 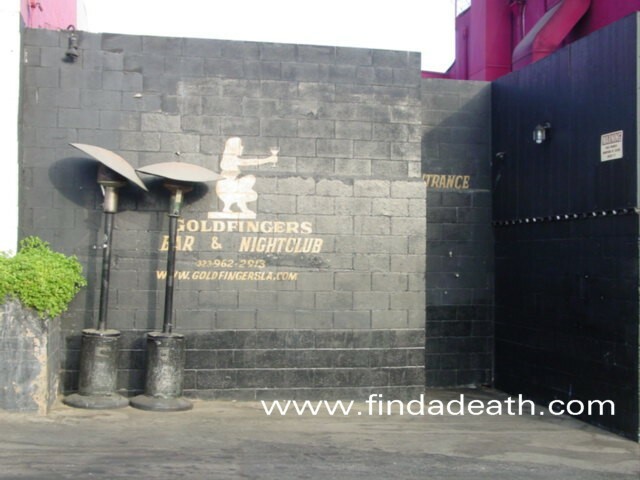 Glenn was living the “transient” lifestyle, staying with friends, and on December 2, 2002, he was staying with his buddy Dwayne in North Hollywood. The apartment was on the ground floor, and Glenn was sleeping on the couch. Glenn and Dwayne spoke around 10 p.m., when Dwayne went to bed. At some point, Glenn had shot up heroin. Dwayne woke the next morning, saw Glenn sleeping there (he thought) and went out to run some errands. Upon his return around 11a.m. or noon, he took a closer look at Glenn. 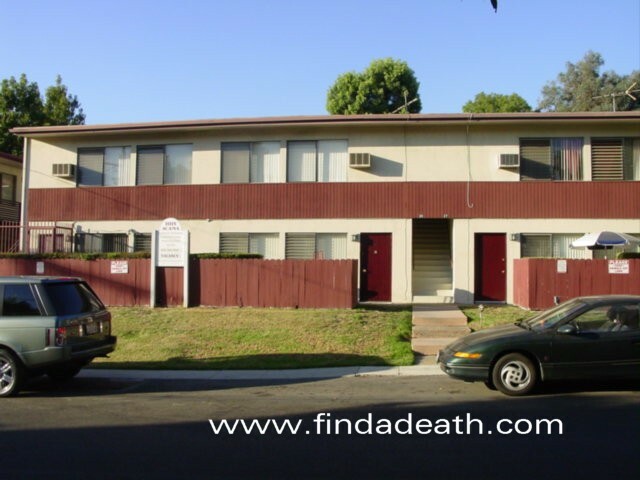 Dwayne lived in this apartment building in North Hollywood, just a stone’s throw from the glamorous Beverly Garland Hotel. 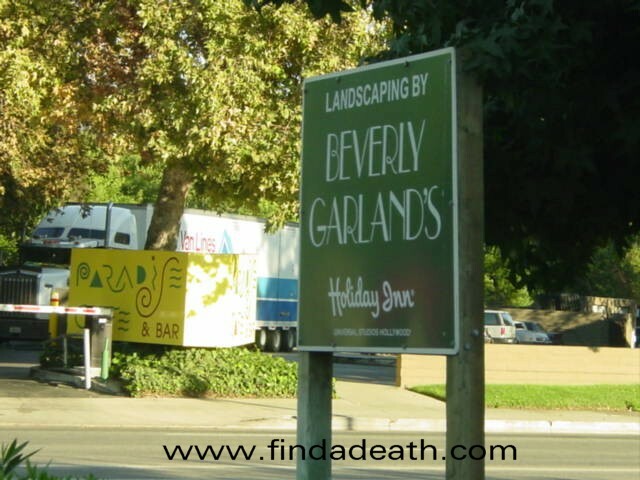 In fact, at the end of the street where Glenn died, there was some lovely flowerage courtesy of The Bev. 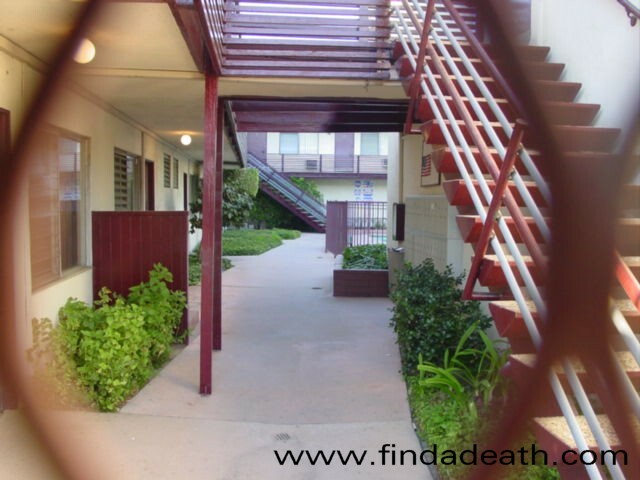 On a positive note, the coroner deemed the apartment “clean and furnished.” That had to make Dwayne’s mum proud, offsetting the fact that a junkie overdosed on her son’s couch. Cause of death, Morphine Intoxication. An overdose of heroin. Accidental. Just an FYI, heroin shows up as morphine in autopsies. Apparently he left behind some financial troubles as well. Michael Fishman, who played D.J. on Roseanne, put out a plea for people to send donations to help cover the funeral costs. Sad considering that Glenn probably made more in a year than most “average” people make in a decade, and he pissed it all away on drugs. He had serious demons. 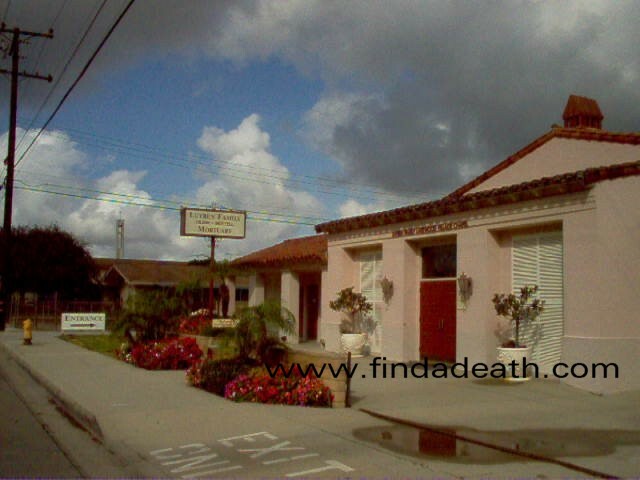 He was taken to the Luyben Family Mortuary and embalmed. 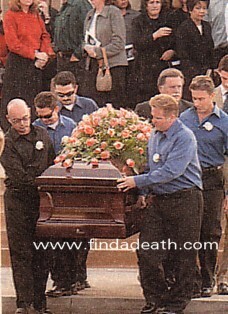 A funeral was held, and Sara Gilbert and Johnny Galecki (Darlene and David on Roseanne) attended. 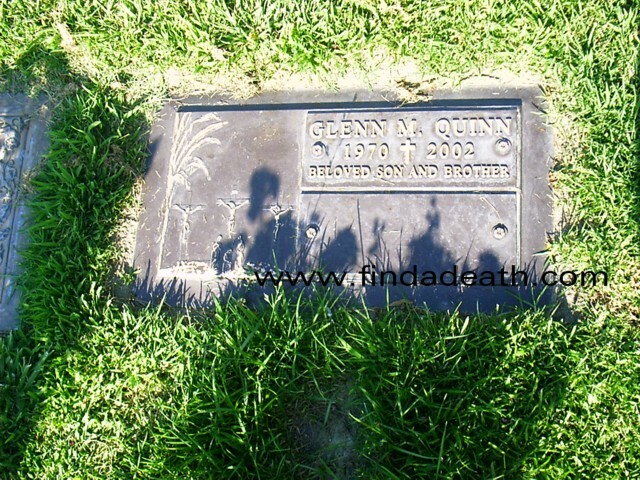 Glenn is buried in Forest Lawn, Cypress – in Orange County. 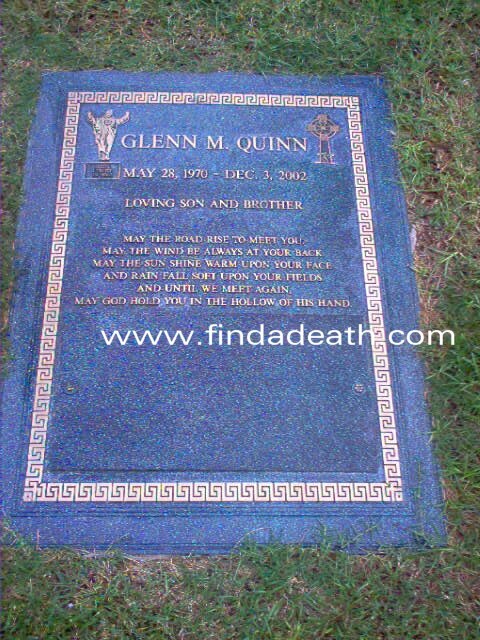 My pal Kim sends us these pictures of Glenn’s final resting spot. His original marker was quite modest, but since its been replaced with a more suitable one. Trivia: Glenn gave Gwyneth Paltrow her first on screen kiss in a movie called Shout.